This M35 has been restored to reflect one of the first issued. 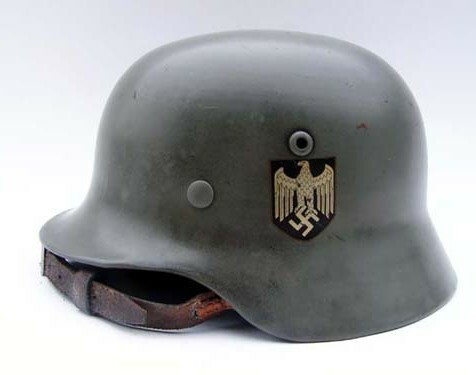 The helmet has been painted a smooth pale apple green, this early color was matched to an original example dated 1935. The liner is a M31 aluminum unreinforced version. Note the unusual double carbine clip chinstrap. 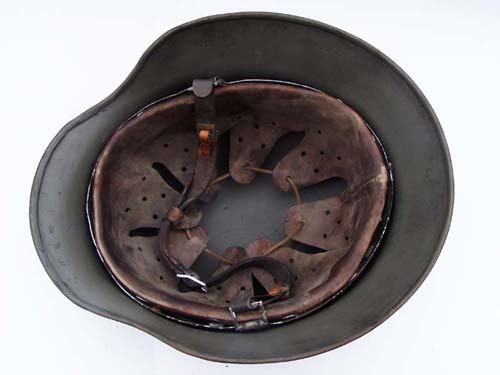 These chinstrap are seen on only the earliest of M35 helmets.